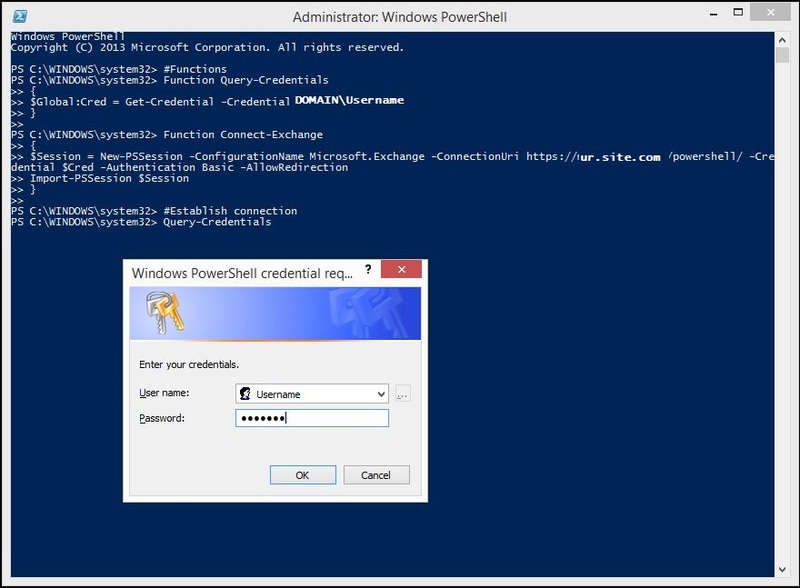 Manage Exchange 2013, using Power Shell, from a Remote or Workgroup PC. A quick search on TechNet revealed the commands used to work the magic. Further searching recommended to create a script to simplify the process. Provide your username and site FQDN where indicated. Log into the Exchange Control Panel. 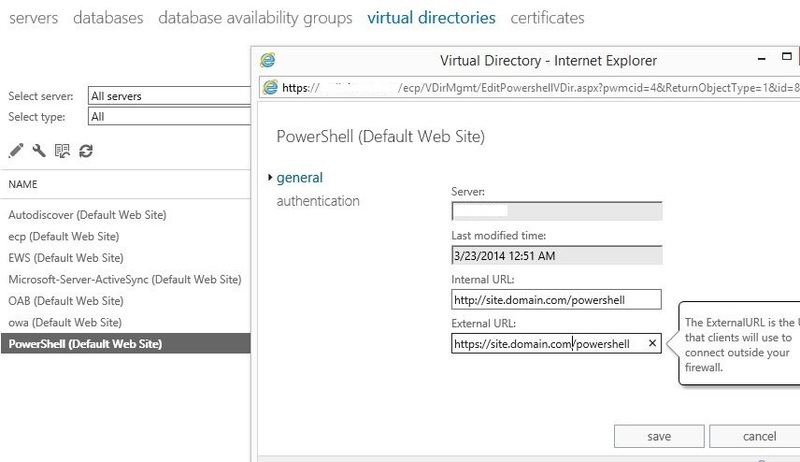 Select "servers" then "virtual directories". Edit the PowerShell (Default Web Site). We are now ready to test our PowerShell connection remotely. Open up PowerShell (or PowerShell ISE) and run the PS1 script you created earlier. You should receive the password prompt. 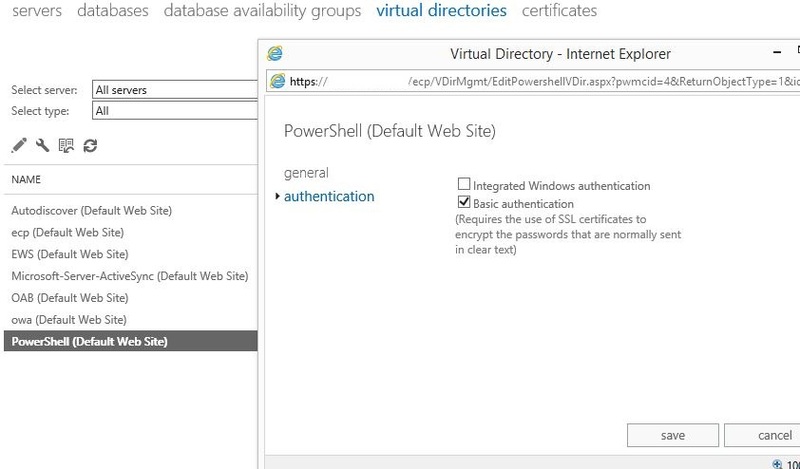 Enter the username and password of a domain account with permissions to connect to Exchange. May have to format the username as DOMAIN\Username. After a moment, you should see a screen similar to this one. If any errors are encountered, simply read the error. If it doesn't make sense, double-check your SSL certificate is configured, authentication, typos in the script, and permissions on the account. Try to query Exchange by running a command against that Server. Here I simply verified the Send Connector. When you are finished working in Exchange, it is recommended that you end or remove the session. 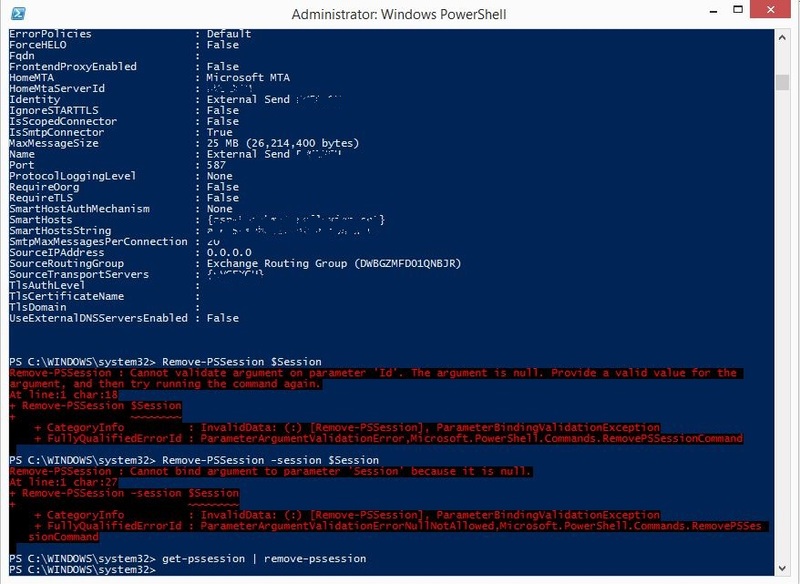 The command on the TechNet article we mentioned earlier didn't work for me. In the screenshot, you can see I tried three different commands. The last one worked...not sure why the others didn't. If you don't remove the session, the session will timeout after 15 minutes. Using the shell remotely is a nice time saver. I have now created session scripts for all of my Exchange 2013 Servers. 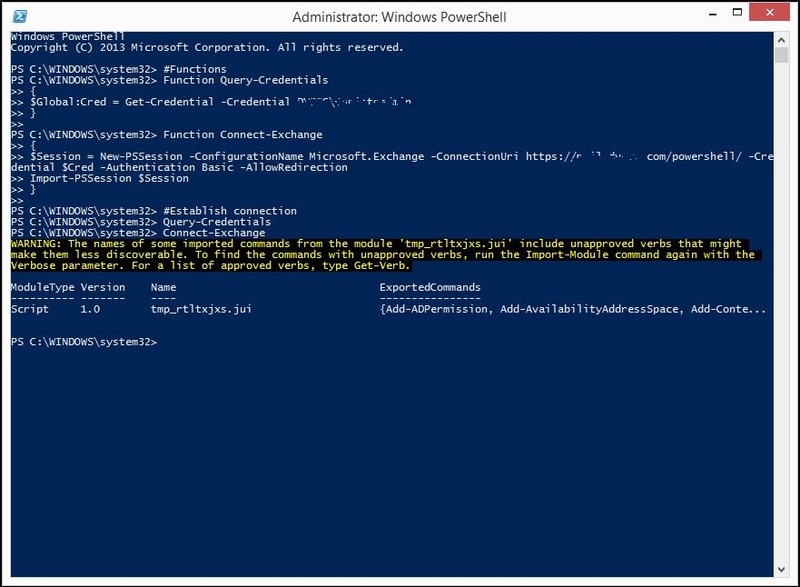 Bonus...using the PowerShell ISE tool, you can easily modify the scripts on the fly.